Cloud-based search, discovery and big data analytics provider recognized for suite of search & analytics tools in 2014 list. Measured Search (https://www.searchstax.com), a leading provider of cloud-based search, discovery and big data analytics products & services, announced today that it has been recognized as one of the KMWorld’s “100 Companies that Matter in Knowledge Management” for 2014. The list, featured in this month’s print issue and online, was curated by a group of KMWorld editorial staff, analysts, system integrators and select users. By offering products that empower companies to leverage user behavior insights to deliver best-in-class experiences within e-commerce, publishing, vertical search and related mobile applications, Measured Search addresses real-world challenges faced by organizations that need to increase customer engagement, conversion, and customer retention, and drive bottom-line results. 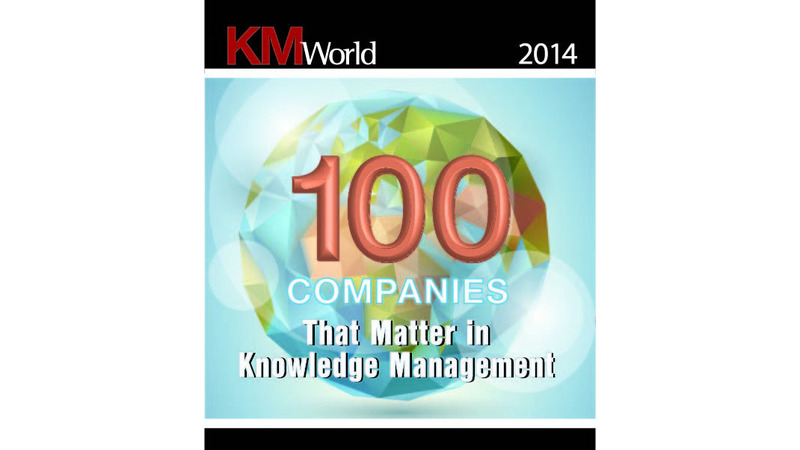 The complete list of KMWorld’s “100 Companies that Matter in Knowledge Management” is featured in the March 2014 print issue and online at http://www.kmworld.com. Founded in 2013, Measured Search is a Los Angeles-based company that helps businesses achieve excellence and superior ROI in Search, Discovery and Big Data Analytics. Measured Search’s cloud-based products allow businesses to capture, analyze and leverage user behavior data to drive bottom-line results. For more information or to begin tracking your customer behaviors, visit https://www.searchstax.com.